Need to keep your hedges in trim? Our Hedge Trimmers (or hedge cutters) combine great ergonomics with robust design and versatility for a precise cut. Available in single-sided and double-sided blade configurations, our Hedge Trimmers are chosen for their reliable performance and have intelligent features including a throttle lock-out to help prevent accidental blade engagement, commercial-grade gear cases and cutting blades for the heaviest applications, and vibration-reducing engine mounts and padded handles for operator comfort. We carefully pick each supplier we work with and have chosen to sell ECHO Hedge Trimmers. Their Trimmers and Hedge Cutters are perfectly balanced, lightweight and easy to control - focusing on total operator comfort to allow you to get on with the job at hand. 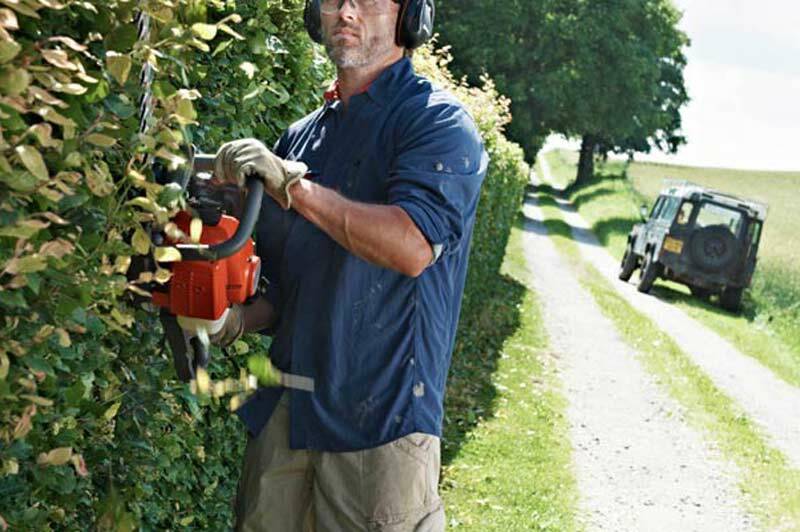 ECHO Hedge Cutters deliver unmatched performance and enduring reliability. Every double-sided blade hedge trimmer uses ECHO-exclusive RazorEdge™ blades, which are laser cut and precision ground for long-lasting sharpness. Their performance, backed up by excellent warranties and our fantastic Parts and Servicing, mean your hedges will be looking good for years to come. Pop by and see our range of Hedge Trimmers for yourself, or you can browse through our collection of equipment online.